Are you maximizing your pay per click dollars? As powerful as search engine optimization is, it does take time, and some keywords are too competitive for you to reach the top of the search results in a relatively short period. This is where pay-per-click advertising (PPC) comes into play. 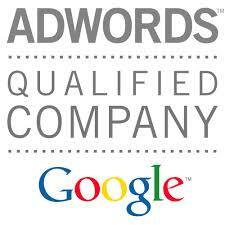 With PPC you can get placement right above the “organic” search results. Even better, you don’t have to pay for the ad unless someone clicks on it. That being said, PPC is no secret. It is the largest and fastest growing online advertising channel available, and competition is high. Unsurprisingly, this drives up costs, and it can be difficult to turn a profit without careful strategy and prior experience. While the most common form of PPC advertising is through the search engines, in some cases it can also make sense to take advantage of PPC opportunities on Facebook and other networks. Google also has advertising sharing programs, so that you can advertise only on select sites, rather than the search engines. Over the years we have honed our PPC skills to consistently produce profitable campaigns both for ourselves as well as for our clients. Just as in SEO, keyword choice is a huge component of success. It is essential to select keywords that people are searching for often, while avoiding keywords that users search for when they are not ready to buy. With our access to large internal data sets, as well as our experience in keyword selection, we have the ability to choose the keywords that will be the most profitable for your campaigns. PPC is based on a bidding process. In Google’s system, your ad placement is determined by two factors: the price of your bid and your “quality score.” The quality score is based on many factors that determine how relevant your ad is to the keyword selected. Choosing the correct bid can make a big difference in profitability and volume. Pricing the bid too low results in the ad not being seen on the first page, resulting in low volume. Whereas, an overpriced bid results in reduced profitability due to the ad cost. Selecting the optimal bid price is an art that requires constant measurement and adjustment. An ad with a low quality score will require a higher bid in order to reach the same number of viewers. Boosting an ad’s quality score is a crucial part of PPC management. Each ad’s quality score is determined by multiple factors: including the percentage of searchers who clicked a particular ad for a specific keyword and the relevance of that ad’s copy to its landing page. It’s important to create ads with high quality copy, that also have a high level of conversions. Those are the ads that will be displayed most consistently and will be the most profitable. To make the most of PPC, it’s important to consistently test new combinations of keywords, titles, landing pages and copy, while tracking performance against other combinations. Sometimes changing a single word is all it takes to dramatically improve ROI. Knowing what to test and how to test is a crucial skill in creating effective and profitable PPC campaigns. We are strong believers in the power of inbound marketing to generate targeted traffic, and effective PPC advertising fits into this approach perfectly. Our experience and knowledge of PPC allows us to help you generate some of the hottest leads on the web, while also allowing you to get maximum ROI out of your advertising budget. Are You Ready to Make Pay-Per-Click Work for You? Schedule a complimentary audit today. Or call us at 512-346-5000 to set up a consultation.